A dystopian novel set in England in the near future. "A beautifully written, and almost unbearably sad, depiction of a society’s downfall." At only twenty-four years old, Lucas has a very important job at the Ministry. Most of the older men have been carted off to prison, so the young men run London. While Lucas investigates reported miracles, his young wife Angela dreams of escaping to a place where schools and theatres are still open, and women are free to work outside the home. A bundle of secret letters from a poet involved in the revolution that ruined England, a visit to a desperate woman with a disabled child, a misguided challenge to the Head of Security at the Ministry… A series of minor catastrophes of their own making mean Lucas and Angela have no choice but to try to flee the chaos of London, with disastrous results. Warning: The Miracle Inspector will break your heart. You will catch yourself thinking about the characters long after you have finished reading the last page. 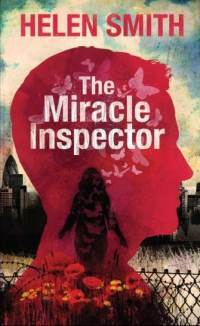 The Miracle Inspector is a blackly comic dystopian novel inspired by my time spent volunteering as a mentor for exiled writers in London through British charity Freedom from Torture. Rather than try to tell the stories of the people I met, I wondered what it would be like if I had to flee from London without money or possessions. How would I escape? What kind of reception would I get if I arrived somewhere without money or possessions, with little understanding of the culture? How would I know who to trust? That was my starting point. I hope people will finish the book asking some of the questions I started with.